Now until December 31st get Employee Pricing on select Chevy inventory. 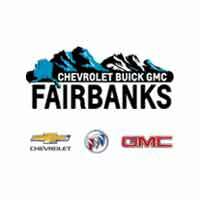 Come take a test drive in a new car, truck or SUV at 3300 South Cushman and get your employee discount today! Price plus tags, title, license, and $200 dealer doc fee. see dealer for stock numbers. Employee pricing on all 2017 models and select 2018 Silverado trucks. See dealer for stock numbers. Not available with any other rebates or offers. Nav System, Moonroof, Heated/Cooled Leather Seats, Chrome Wheels, 4x4, Back-Up Camera, Bed Liner, SUNROOF, POWER, Hitch. BLACK exterior and JET BLACK / MED ASH GRAY interior, High Country trim. EPA 20 MPG Hwy/15 MPG City! SEE MORE! KEY FEATURES INCLUDE Leather Seats, 4x4, Heated Driver Seat, Cooled Driver Seat, Back-Up Camera, Premium Sound System, Satellite Radio, Onboard Communications System, Trailer Hitch, Chrome Wheels, Remote Engine Start, Dual Zone A/C, Heated Seats, Heated Leather Seats, Heated/Cooled Seats. Privacy Glass, Keyless Entry, Steering Wheel Controls, Alarm, Heated Mirrors. OPTION PACKAGES HIGH DESERT PACKAGE includes Sport Bar with Sail Panel, Lighted Side Box Storage, Hard Tonneau Cover, (VXE) Delete: Pickup box rail caps and (E6N) Delete: Pickup tailgate upper molding Includes (RC7) P275/55R20 all-terrain, blackwall tires, (Z95) Magnetic Ride Control Suspension, (BRS) power-retractable assist steps and (RIA) All-weather floor liner, LPO. SUNROOF, POWER, LPO, ALL-WEATHER FLOOR LINER, ENGINE, 5.3L ECOTEC3 V8 WITH ACTIVE FUEL MANAGEMENT, DIRECT INJECTION AND VARIABLE VALVE TIMING includes aluminum block construction (355 hp [265 kW] @ 5600 rpm, 383 lb-ft of torque [518 Nm] @ 4100 rpm; more than 300 lb-ft of torque from 2000 to 5600 rpm) (STD), AUDIO SYSTEM, CHEVROLET MYLINK RADIO WITH NAVIGATION AND 8 DIAGONAL COLOR TOUCH-SCREEN, AM/FM STEREO with seek-and-scan and digital clock, includes Bluetooth streaming audio for music and select phones; USB ports; auxiliary jack; voice-activated technology for radio and phone; and Shop with the ability to browse, select and install apps to your vehicle. Apps include Pandora, iHeartRadio, The Weather Channel and more. (STD), TRANSMISSION, 8-SPEED AUTOMATIC Plus tax, title and license. Prices include $200 dealer doc fee. See dealer for Stock Numbers. Price contains all applicable dealer incentives and non-limited factory rebates. You may qualify for additional rebates; see dealer for details.